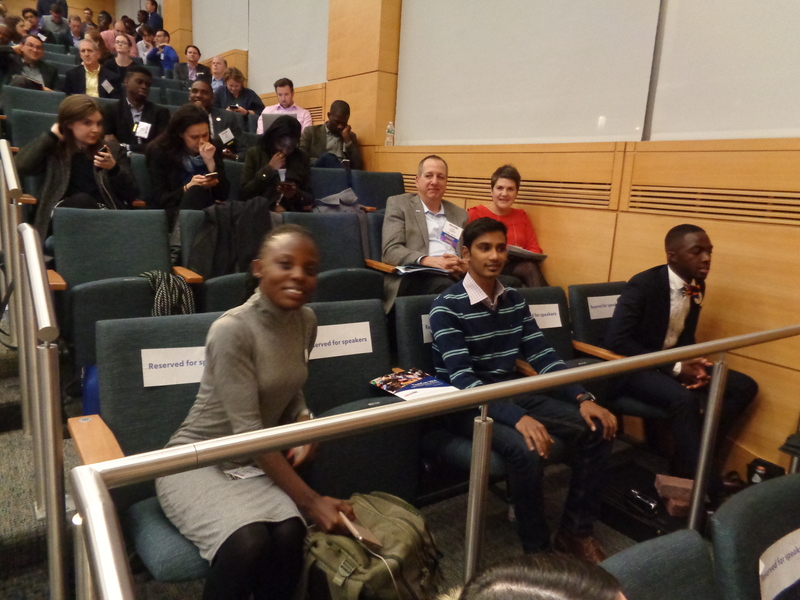 It was an honour for me to have been part of the USAID Higher Education Solutions Network TechCon 2016 from November 10th-12th at the Massachusetts Institute of Technology (MIT). I can confidently say that my participation greatly enriched my experience through this rich journey of creatively thinking and innovating to address communities’ most pressing challenges. 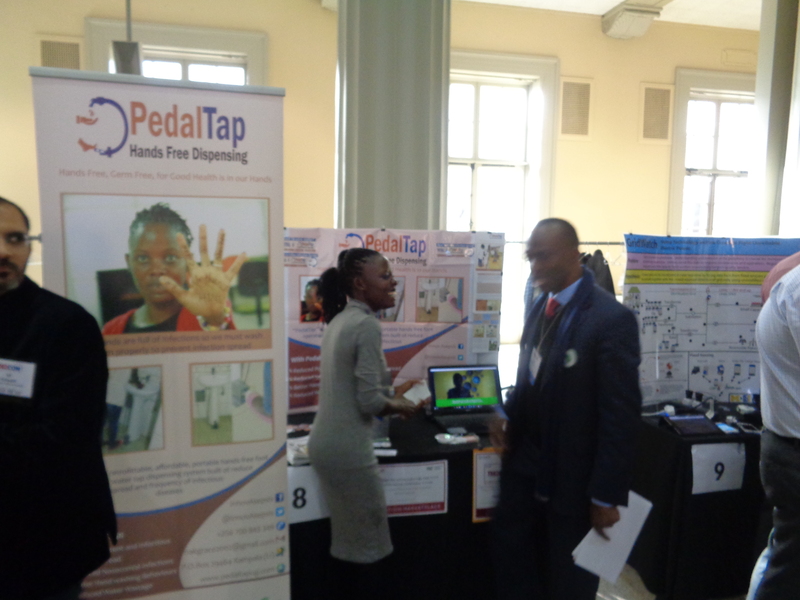 My participation in the TechCon 2016 Innovation Market place opened a lot of different thoughts about the innovation ‘PedalTap’ ()which we are currently working on. This exposure also re-built my strength as an innovator with a goal to improve hand hygiene in different target communities through providing both products and services. 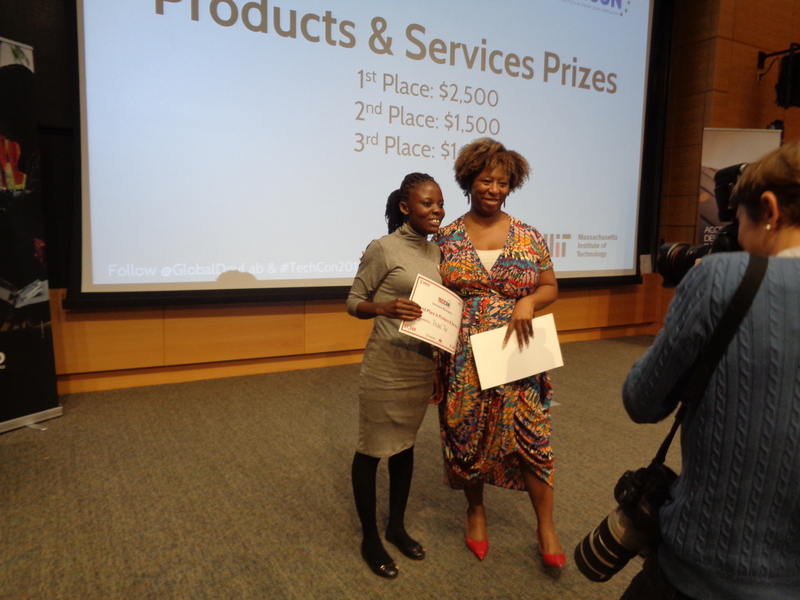 The competition in the Innovation Market place was fierce, battling with amazing innovations and innovators. Being an individual participant for my team with teams that had their entire members around, made the environment even more scary. 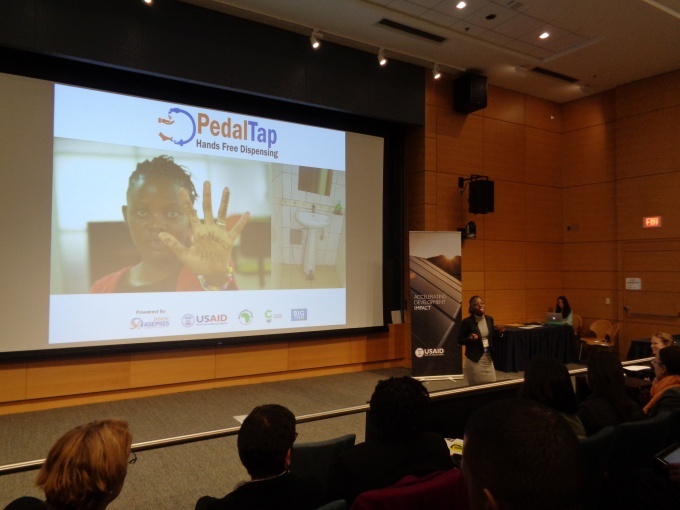 I had to think of numerous strategies to reach more market place participants articulately sharing the main points about the PedalTap Innovation. I had to raise the most dollars from the crowd to be able to run for the top 3 positions in the product and service category. It is my passion, thoughtfulness and dedication to my work, innovation and women leadership/ power, it is me being relentless. Innovators and dear readers, the rich opportunities in the market place provided me with rich insights throughout the process which started with the submission our application to pitching, gathering feedback and support for the future while networking with all the seemingly interested attendees. Beyond PedalTap win which is a great achievement for the PedalTap team, I was also able to leverage partnership to further support refining of the product moving from pilot to scale. It was also at this market place where I met the team helping us refine the PedalTap business model. We also received numerous feedback and comments about the Innovation which we are currently using to refine the product and prepare for scaling. 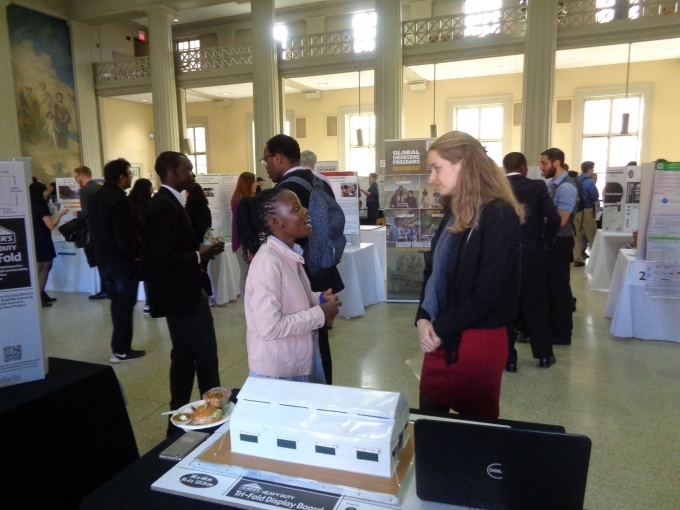 With continued engagement with all the contacts we made through TechCon2016, we will be able to realize impact in our communities. 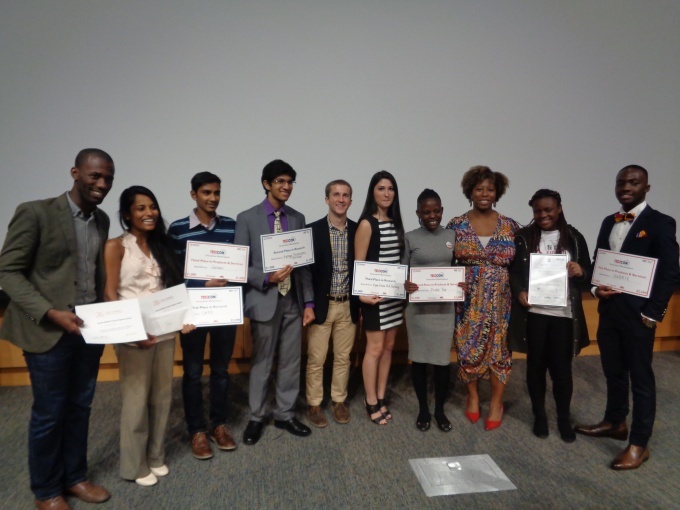 The PedalTap win at the TechCon 2016 Innovation Market place competition has also given PedalTap and the team visibility both locally and internationally. 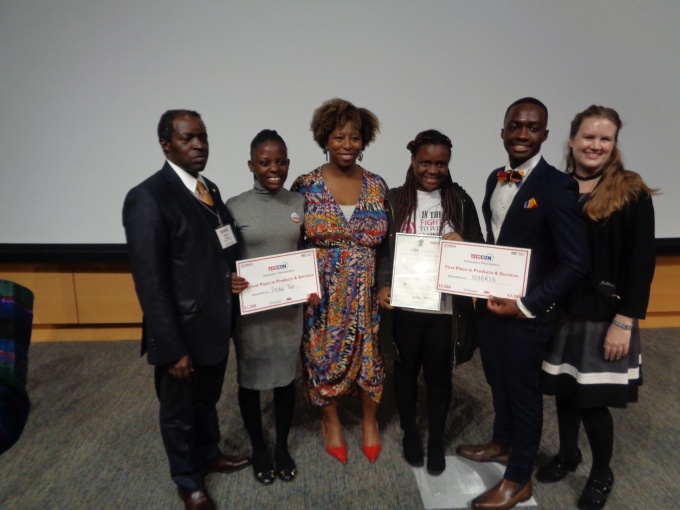 I can say that the world knows Grace Nakibaala the young female architect who is going to change hand hygiene through innovating products and services that will improve hand hygiene practices at public water points reducing infection spread while saving water in our communities. I was also one of the speakers at the closing plenary sharing my vision for the Next Generation Practitioners. I shared about the need for the next generation practitioner to be relentless. To be dedicate to achieve their end goal and to be very unstoppable. It is my relentlessness that has enabled me persevere as I work towards my dream of developing products that ease hand hygiene to prevent the spread and frequency of potent and infectious diseases at public water points at the same time saving water. 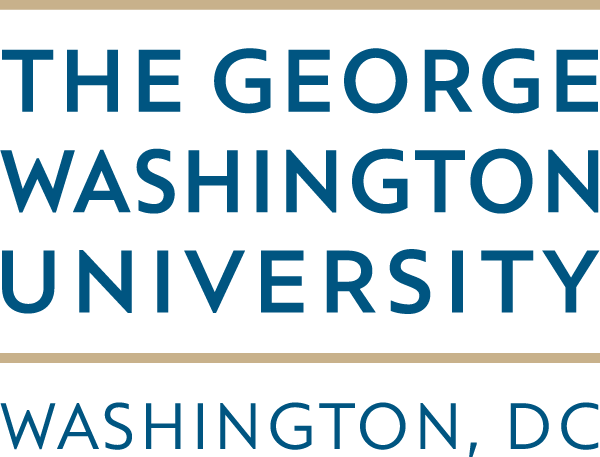 In addition, the side events, panel discussions, and sessions that mainly focused on creative approaches to solution ideation, testing and scaling for international development were a rich learning opportunity. All the knowledge acquired is helping the PedalTap team further shape the innovation for impact and business. 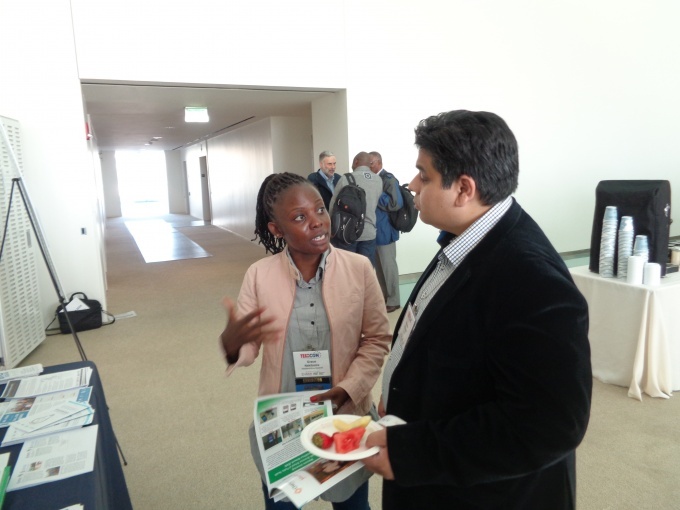 TechCon was worthwhile and beyond my hard work, I remain forever indebted to Makerere University School of Public Health ResilientAfrica Network (RAN) for their continued support. RAN has supported us through their pitch Tuesdays, Innovation Garage Sessions where we were introduced to the RAN partners including Innovation Consortium Limited who have also supported innovators through the proof of concept and fabrication of all prototypes that have been piloted in Kampala and beyond. With all the resources RAN provides to innovators, I have greedily scooped all of them attending all trainings that they offer, benefiting from one of their grants, using their space and seeking guidance from all the staff to help PedalTap and even individual innovators reach the height of innovation. I am also very glad that RAN fully supported my travel to MIT for TechCon2016. I pledge to continue sharing the learning experiences with many students, youth and innovators which I hope will encourage them to be relentless about their dreams. I am proud to be an Innovator, the future is in our hands.